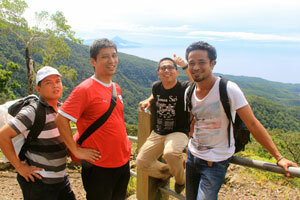 My partner and I travelled across Flores with Teddy and the trip was fantastic! 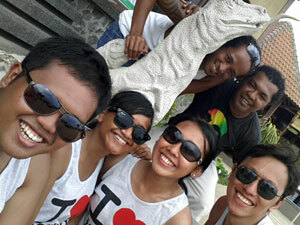 We started in Maumere and had some time to visit places in the area, Sikka, and other beach destinations. After that, we stopped at the popular spots along the way to Labuan Bajo (Kelimutu, Riung, Bajawa, Ruteng, Weraebo), and finally Rinca and Komodo. Since we were travelling during the rainy season (Flores in February), some of the sights were difficult to see/visit, but Teddy was very accommodating, and he helped make the best of it even with some bad weather. Yopi, the driver, was also excellent navigating along the roads in Flores, especially during the periods of rain. Teddy was great at answering our questions, and had so much information about the island, people, history, and culture of Flores. 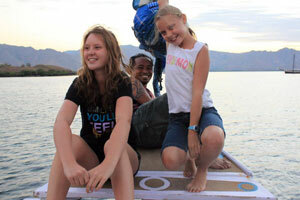 Flores is such a beautiful island, and we definitely recommend a tour with Teddy. The experience and information that we gained from hiring a guide rather than using public transport, or just a driver is immeasurable. Highly recommended! We hired Teddy last May for six days. We thought he was great. His driver was excellent and very safe on what could be some dangerous roads. Teddy had a lot of great information and stories to tell. We saw some other groups that were traveling across Flores with a driver, and most had issues with their driver that we completely avoided. We had a great time with Teddy. Another vote for Teddy Aimbal - a couple of weeks ago I landed in Jogja and bought flights to Maumere and out from Labuan Bajo. I then emailed Teddy to see if he could provide a car driver to take me from Maumere to Labuan Bajo. He replied promptly with a quote and met me at the airport a few days later when I flew in to Maumere. My driver, Francisco was excellent and knew all the places to go. As luck would have it Teddy himself (he's a guide not a driver) was travelling the same way with another group who had hired him as well as a car and driver so we teamed up together and I had the benefit of Teddy as a guide! I can now say that it is definitely worth hiring Teddy as well as a car and driver. He is one of those rare breed of guides who is there when you want them and remains in the background when you don't need them. No wonder that a Canadian company uses him. Ive just done the cross Flores road trip. Used guide called Teddy Aimbal . he was absolutely first rate, reliable, honest, vey helpful, perfect english. In the meantime we contacted the guide, Teddy Aimbal who we had booked for our overland trip and he sorted us out with the boat within half an hour and sent the captain to meet us at the hotel. ... What was especially appreciated was that with other agents we had spent ages negotiating the boat prices to around 3m rupiah but Teddy just gave us the fair price to start with. He also followed up with the captain during the boat trip by phoning in to make sure everything was going well. Teddy was pretty quick in responding to our queries and booking things and was also contactable by mobile beforehand. I would recommend him as a guide and for car ask for the "hunny bunny" car which was great. We were well looked after often until late at night but alway unobtrusively and sensibly, he had answers to pretty much any questions we came up with, handled hotels for us, knew all the best places to eat and made sure we got to try lot of Flores specialities and also cooked himself us the best meal we had all week when we got to Maumere.